Shipment between 1 and 7 days. 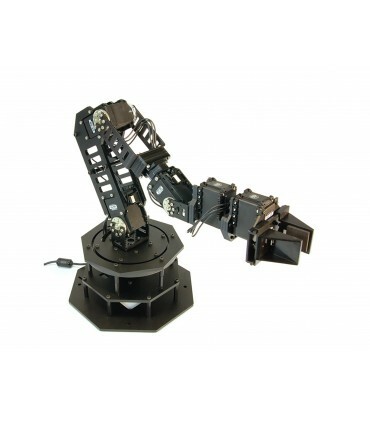 The PhantomX Reactor Robot Arm is the first in Interbotix Labs' offering of Arbotix based research grade robotic arms. The Reactor Arm was designed with reach and agility in mind, but it still boasts considerable strength for an arm of its size.